Research papers discuss the problems of colonialism in Africa, along with a long history of poverty and war. 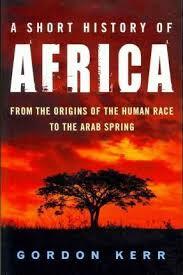 Africa research papers discuss any aspect of Africa that you need explained. Whether it is world history, economics, politics or any other college class, Paper Masters can write you a research paper that will cover any aspect of Africa or an African nation that you need. African history research illustrates that Africa is considered a failed continent for a number of reasons, not the least of which is because many African countries have histories of colonization and have been unable to independently establish themselves as major players in world politics or the global economy. Many important regions in the south are only recently liberated from apartheid but have demonstrated in response only limited successful political or economic participation by indigenous peoples. In addition, much of the continent continues to be underdeveloped in an era where industrialization and global competitiveness are imperative. Although Africa’s history of colonization by European countries has had many negative repercussions, it also worked to industrialize several regions of the continent however the severe climates and arid geography have prevented much of Africa from being fully developed. In general, inflation in Africa is the result of poor monetary and fiscal policies established by national governments in response to domestic political pressure to create social programs that reduce poverty. The proliferation of fiat currencies in the former British colonies of Africa that are deemed essentially worthless in the context of international trade has aggravated the inflationary effect of these policies through the increase in money supply and the acceleration of the velocity of money. To a large degree, the high inflation rate is the outcome of the politicization of the various national economies in the region, and particularly affects those nations that do not have a strong and independent central banking and reserve system similar to that found in industrialized nations. A 22% inflation rate for non-CFA nations during the same period (Clement, 3) (See Table). In the past five years, the inflation rate has remained relatively stable in the CFA nations despite the 1994 the devaluation of the common currency in order to stimulate exports, and remains well below the often staggering rates of inflation in other sub-Sahara nations during this period. The proliferation of currencies in Africa and the high level of inflation that they are subject to outside the CFA has created some interest in the formation of additional monetary unions similar to that the CFA. Such a monetary union would provide the benefits of an autonomous central bank and a higher degree of fiscal and monetary stability to member nations. It is unlikely to occur, however, due to the politicization of fiscal and monetary policy that is the norm in the majority of non-CFA nations. There is great temptation for government leaders to employ inflation as a means of financing deficit spending, which is used to curtail social unrest while distributing largesse to political insiders. As a result, the leaders of these nations often see the fiscal discipline imposed by outside authorities such as the IMF or a multi-national central bank appear as threat to their respective regimes. Despite the difficulties that inflation brings to their nations, this seems preferable to the temporary social turmoil that more austere yet more responsible fiscal policies are likely to create. African Union - African Union research papers overview the political alliance between 54 African nations. Benin - Benin Research Paper researches this underdeveloped West African country. Caliphate of Cordoba - Caliphate of Cordoba research paper examines the golden age of this time period, and why it was considered the golden age. Crisis in the Congo - Crisis in the Congo Research Papers examine the recent history and current response of humanitarian agencies such as the UN to the ongoing crisis in the Democratic Republic of the Congo. The Darfur Conflict - The Darfur Conflict research papers discuss the struggle between non-Arab or African Sudanese and the Sudanese government. East Africa - East Africa research papers examine east coast of Africa and the greatest influence of this nation the Arab Natives. History of Ethiopia - History of Ethiopia research papers discuss the history of the African nation of Ethiopia starting from the Middle Paleolithic era. Humanities: Africana Studies - Colleges and universities around the country offer Africana studies as a humanities degree option. Independence of Southern Sudan - Southern Sudan, a hotbed of civil violence and unrest for almost half a century, will become an independent state in 2011. Kenya - Kenya Research Papers question if the contemporary Kenya is a genuine democracy. Oroonoko - Oroonoko by Aphra Behn, is set in a time before the widespread African embargo on slave exportation. Paper Masters writes custom research papers on Africa and discuss the problems of colonialism in Africa, along with a long history of poverty and war.